Ford Design presented CGS Performance Products with the Outstanding Achievement in Design for their 2018 Ford Expedition @ the 2017 SEMA Show in Las Vegas, NV. If you haven't seen it, you need to check it out, this is one you are not going to want to miss. CGS has built several dozen company project vehicles over the last 23 years, and to no surprise to the truck world CGS's 2017 BMX themed F150 is gracing the cover of Truckin Magazine ...see it here! Ford Design presented CGS Performance Products with the Best of Show for their 2017 Ford F150 4x4 @ the 2016 SEMA Show in Las Vegas, NV. CGS teamed up with Ssquared Bicycles and Answer BMX to build a BMX themed F150 hauler.If you haven't seen it, you need to check it out, this is one you are not going to want to miss. Check out the March 2016 issue of Truckin Magazine and read all about the 2 CGS 2016 F150's. ...see it here! Check out the story MSN just did on the CGS F150. ...see it here! 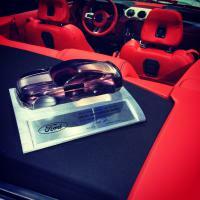 CGS wins Ford Motor Co. design award. CGS takes home the Ford Motor Co. design award for the second year in a row at the 2015 SEMA show in Las Vegas, NV. CGS won this for the work on the 2016 Ford Mustang product. ...see it here! 2015 Mustang Axle Back Exhaust and Cat Back Exhaust are in stock and ready to ship. Check out our new Axle-Back Exhaust Systems and Cat Back Exhaust Systems for the new 2015 5.0L Mustangs ...see it here! CGS celebrates 20 years strong. 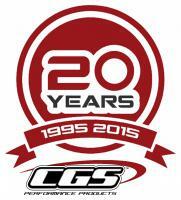 CGS would like to thank all of its customers over the past 20 years and we are looking forward to the next 20 years. If you in the Southern California area for Labor Day weekend, come on out to the Orange County Fairgrounds Aug. 29th - 31st Stop by the CGS Hauler pick up a free Rockstar and say hi. ...see it here! CGS just released their Cold Air Intake System for the 2.5L Ford Fusion. The kit comes complete with everything you need to DIY the install in less than 30 mins. The new intake will also increase power by 7hp and 7ft. lbs. of torque. ...see it here! Check it out the new CGS R/C F150 and the CGS R/C Bus. The CGS R/C's should start shipping the week of Thanksgiving. Don't miss out, order yours today. Quantities are limited and once we sell out they will be gone. They are only $19.99 and you can order them on our web site. Click on the link below and that will take you to our online order page. ...read more ...see it here! We are selecting random people that have liked us on Facebook for a chance to win several different prizes, CGS T-shirts, Lanyards, Hats, Banners, etc. ...see it here! Thomas has been part of the CGS family since the beginning, circa 1995. We will never forget. The 2011 Ford F150 project truck that CGS built for Ford Motor Co. for display in their booth at the 2011 SEMA automotive trade show in Las Vegas, NV. is now in our GALLERY on our website. There is over 30 photos of the truck, so check it out and let us know what you think at info@cgsmotorsports.com or also on facebook ...see it here! CGS just launched two new cat back exhaust systems for the new Ford F150 with a 5.0L engine. The Aggressive system is a throaty sound but not to loud. The second system is a Mild tone and it is more on the quiet side. ...see it here! CGS is going on the road for 2012. Look for the new CGS Hauler at a show near you. Check out the August 2011 issue of Chevy High Performance. Our CGS 2010 Chevy Camaro is on the cover and there is a great article inside. ...see it here! Check out the April 2011 issue of Muscle Car Power magazine at you local newsstand. If features the CGS Camaro smoking its 24"x15" rear tires on the cover and 6 pages inside. 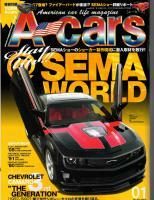 The CGS Camaro graces the cover of the largest automotive magazine in Asia. ACars has featured several of the CGS vehicles in the past and this time also on the cover. 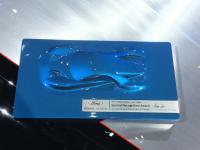 We won a GM design award for the 2011 Chevy Camaro at this years SEMA show. Thats two manufacture awards in the same year, from what we know, that is the only time that has ever happened. ...see it here! ...see it here! We recently worked in conjunction with Ford Motor Co. on a 2011 Ford Explorer for the SEMA automotive trade show in Las Vegas, NV. Opening day of SEMA, Ford held a press conference and presented CGS with the 2010 Ford Design Award. ...read more ...see it here! ...see it here! CGS makes it on the main page of AutoBlog.com with the 2011 Camaro we are doing for the SEMA show this year in Las Vegas, NV. Check out the link. ...see it here! 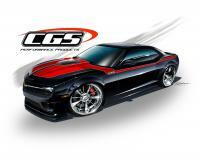 CGS is building a 2011 Chevy Camaro. The vehicle will feature a supercharger by Whipple Ind. One of CGS's new Cat-Back Exhaust systems, 24"x15" rear wheels and interior by Pecca Leather. 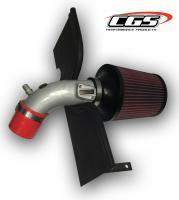 The newest cold air intake system from CGS is for the 2010 2011 Chevy Camaro 6.2L V-8. This system makes 18+ horsepower to the rear wheels. If you have a new Camaro, then a CGS cat-back and a cold air intake system is a must. ...see it here! 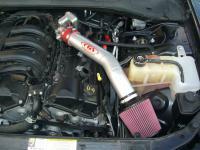 New Intake system for 2.7L V-6 Challenger, Charger, 300, Magnum. CGS just released a new Intake System for the Dodge Challenger, Charger, Magnum, and the Chrysler 300. This Intake is for the 2.7L V-6 ...see it here! Check out the new Project Vehicle Gallery. Click on the link to the left the says "GALLERY" and check out all the vehicles. More photos are being added daily so check back often. ...see it here! SEMA 09' was yet another great show. CGS debut the 2010 Mustang named "FlatBack" along with a new exhaust system for the new Ford Mustangs. ...see it here! Truckin's Senior Tech Editor Bob Ryder brings in his personal SUV for CGS to install one of our Cat-back Exhaust systems and an Air Intake System. Bob says:"I tried and tested every exhaust system on the planet and I always come back to CGS. I've never got such a nice sound and so much power out of any other exhaust system." Thanks Bob, from all of us at CGS. CGS's Cat-Back Exhaust System for the 2009 Chevy Silverado and GMC Sierra is now available. Quiet on the inside and throaty on the outside. Check out what the system sounds like. ...see it here! ...see it here! Rap superstar Nelly and music mogul Funkmaster Flex has teamed up with CGS. CGS has had the pleasure of working with the major music celebrities. Nelly and Funkmaster Flex each built Ford Flex's for the 2008 SEMA Show. They made many modifications to their customized vehicles. Both added horsepower to their SUV's with CGS performance products. Both Nelly and Funkmaster received special honors with their vehicles at the 2008 SEMA Show. Just goes to show that CGS is the way to add performance to your vehicle. This years SEMA show in Las Vegas was a success! If you had the opportunity to make it to the SEMA Show then you know why. CGS built a Ford Flex, the "Reflex", giving it a redesigned sense of style. Once you see the vehicle then you will know why Ford Motor Co. awarded CGS with its top honors. Ford recognized CGS with a Special Recognition Award of "OUTSTANDING ACHIEVEMENT IN DESIGN." This is a highly prestigious award that the team at CGS are very proud of. If you didn't make it to the show, check out some pictures of the "Reflex." 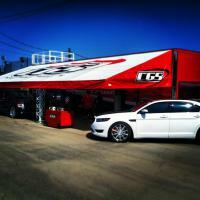 CGS Displays at SEMA Again! For the 12th year CGS has made the first week of November an annual ritual. 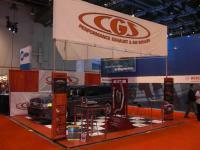 If you got a chance to make it to Las Vegas for the 2008 SEMA Show, CGS was a must see. The buzz was in the air about the "Reflex" the team at CGS built. It was a one off Ford Flex. CGS Performance's new products were on display. Check out the website for all the new products for your ride. autoblog.com reported today: Every time we see a Flex on the road, it looks cartoonish to us – those two massive rectangles sitting on cute little wheels. We wouldn't be surprised if, a la CARS, a Flex started talking to us. The "ReFlex" above, designed by Sean Smith of SS Designs and being prepared by CGS Motorsports for this year's SEMA Show in Las Vegas, looks like it could have something interesting to say. Who knew that a minimal body kit, a drop, and a set of 22s could give the Flex that personality it's been missing. The custom DuPont-painted CUV is also getting a suede interior, a Kicker sound system, and even new door solenoids from SPAL. We'll take it, or at least a ride in it. Check out the full press release after the jump, and stay tuned for the full report from SEMA. ...see it here! ...see it here! LeftLaneNews.com reported today that the CGS Ford Flex named "ReFlex" is going to be hot. Check it out in the CGS booth(#23923) at the 2008 SEMA show in Las Vegas, NV. ...see it here! ...see it here! For the first time CGS exhibits at the 35th annual Performance Warehouse Association Conference in Phoenix, AZ. Look for CGS at your local warehouse distributor as the up and coming Exhaust and Air Intake company in 2009. CGS and Ford have been working together on a 2009 Ford FLEX, and CGS has just released their Cat-Back Performance Exhaust System for it. CGS is also working on a Cold Air Intake System for the Ford Flex, coming soon. ...read more ...see it here! 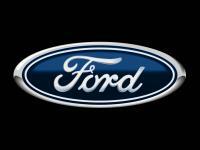 CGS signs contract with Ford Motor Co. again. CGS and Ford Motor Co. Have teamed up once again to work on the new Ford Flex for this years SEMA show in Las Vegas. Stay tuned for the up coming project. We have just released our exhaust for the 2008-up Chevy HHR SS 2.0L Turbo. ...see it here! Godfather customs was commissioned by General motors to build a custom Chevrolet HHR Panel for the SEMA show in Las Vegas NV. Godfathers president Hal Johnson said:"I researched the HHR and all the aftermarket products made for it. CGS by far manufactures the best Air Intake System and Exhaust System, so we at Godfathers knew that we were going to have to team up with CGS on this project for GM." ...see it here! In a rebuild of remarkable proportions, automotive aftermarket manufacturer American Products Company (APC), steps into the spotlight with a starring role in tonight's episode of Overhaulin' on The Learning Channel. Overhaulin' is the new weekly TLC cable channel series, hosted by legendary fabricator Chip Foose, which each week dupes an unsuspecting vehicle owner by surreptitiously removing their vehicle and tricking it out without their knowledge. The vehicle is then returned to its owner during a surprise "reveal" in a completely modified, tricked, tuned, and transformed configuration. ...read more ...see it here! If you're in the market for an intake for your second-generation S-10, there are lots of options to consider. We took into account the reputation and the dependability of the intake manufacturer as well as style when we decided to work with CGS. As you might agree, not only does the product have to live up to your expectations in the performance department, but it also better look good doing its job. In saying this, we made a call to CGS Motorsports to check out what this exhaust pro had to offer for S-Dimes. Sure enough, the company had just what we were looking for: a custom-made intake system designed specifically for our vehicle application so that there would be no guesswork involved. ...read more ...see it here! ...see it here! No big surprise here -- an intake will improve horsepower, torque, and gas mileage by simply allowing more air into the combustion chambers. What might be a surprise to the average SUV owner is the ease of installation of this performance-adder. ...read more ...see it here! ...see it here! CGS exhaust story in Hot Rod Magazine. ...see it here! All CGS products are designed to get better fuel economy. Everybody could use a little better fuel mileage, so why not add a little performance at the same time. Japan also loves CGS! 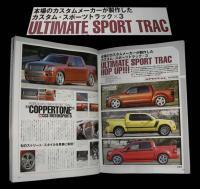 Japanese Magazine, A-Cars does a complete story on CGS. They featured our products and our project truck, Coppertone. So, if you happen to be in Japan this month, check out a copy for yourself. CGS has just released there new Cat-Back Exhaust System for the 1998-2008 Ford Ranger. ...see it here! Charly of CGS Motorsports was interviewed by Truckin TV at the 2007 SEMA Show. Check out the video ...see it here! Truckin magazine shoots the CGS Coppertone project for an upcoming feature in 2008. If you don't already know about the Coppertone, it started out as a 2008 Ford Explorer Sport Trac and CGS's in house design studio has turned it in to a show stopper. Stay tuned to Truckin magazine for the full article and story. 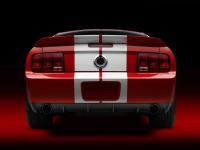 CGS has just released a complete line of muscle car exhaust systems for the 2005-up Ford Mustang. We have been working on this project for over a year, testing and developing new products for the late model muscle cars. These systems are made to out last and out perform any other Exhaust system on the market. These systems are in stock and ready to ship. ...see it here! CGS's 2008 Ford Explorer Sport Trac was debuted at the 2007 SEMA show in Las Vegas. 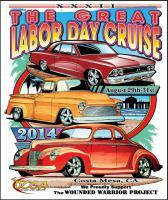 CGS will be exhibiting at the 2007 SEMA Show in Las Vegas the week of Oct.30th - Nov.2nd. Stop by and see us @ booth number 24519 in the racing and performance section of the center hall if you are attending the show. 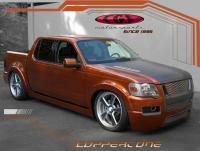 Street Truck Magazine's editor Jeremy Cook uses CGS Exhaust and Intake on his personal truck. Read all about the install in this months Street Trucks Magazine(November 2007) on pages 120-122. New cat-back exhaust system for the 2007-up GMC Denali Sierra Pick-up with a 6.2L ...see it here! New cat-back exhaust system for the Dodge Nitro 3.7L and Dodge Nitro R/T 4.0L ...see it here! CGS Motorsports has been awared the DaimlerChrysler Design Excellence Award for their 2007 Dodge Nitro which debuted at the 2006 SEMA Show. This vehicle was designed by Sean Smith and built by CGS Motorsports of Pomona, California. This all-new Dodge Nitro features a slick custom paint scheme by Andy Meeh of Crazy Customs, 22-inch Devious Custom wheels, Pirelli Tires, Keyston Brothers interior, Precision Grilles, and a CGS Motorsports Cat-Back Exhaust System and Air Intake System to amplify its already bold attitude.